Our business / warehouse units are great for any business, new or existing. These units range from 1,000 sq. ft. to 2,500 sq. 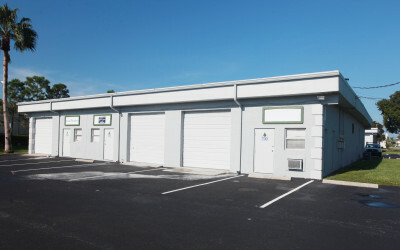 ft. and they feature one or more office / workroom spaces that include a large warehouse space with an overhead garage door access, light-duty storage loft, and restroom. Competitively priced with no Pass-Through charges, our Business / Warehouse Units are great for industries like Sales & Service, Light Manufacturing & Distribution, and Product Storage & Inventory. Please call our leasing office at 772-692-9555 or send us an email to learn more. We look forward to hearing from you! To learn about available spaces or schedule a showing, please call 772-692-9555 or send as a message and a Your Place For Space representative will be happy to help.